Our product range includes a wide range of crane wheels and crane wheels with axle and bearings. Crane Wheels for Large Cranes, Port Cranes, Panamax Cranes, Rail Mounted Gantry Cranes, Torpedo Ladle Cars,Casting Cranes, Charginbg Cranes, and all Large Rail Mounted Machines like Stacker and Re-claimers. 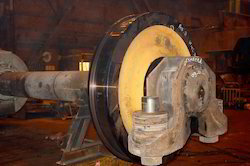 Crane Wheels up to 1200mm or more for Large Steel Plant application cranes and large capacity machines. 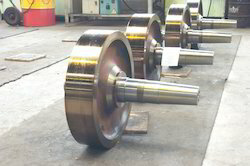 Looking for Crane Wheels, Axels And Shieves For Large Machines ?